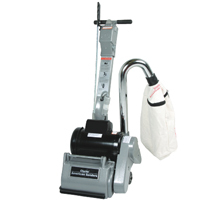 The EZ-8 is a compact, light weight floor sander designed to be quickly dismantled for easy transport. This model features an “expandable drum” which requires no tools for quick paper changes. 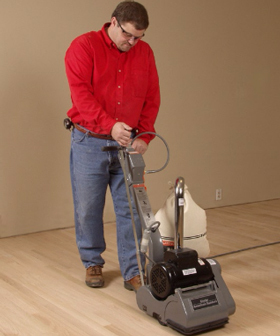 The EZ-8 drum sander combines professional contractor-type floor sanding results with highly productive, easy-to-use equipment features for the do-it-yourselfer. Available with two drum types – standard and expandable – the EZ-8 comes apart easily for transportation to and from the work site. An enclosed motor eliminates overheating, and the drum lowering lever lets you “feather” the drum like the pros. The EZ-8 drum sander combines professional results with highly productive, easy-to-use equipment.